Summer is coming soon, and I know what the kids are thinking: “Yay! No school!” The parents, on the other hand are thinking, “No school? What am I gonna do with these guys? !” No worries! We here at Starfish have scoured the world of Pinterest for the best educational activities for your kids, so you can keep ’em busy, and keep ’em learning! Click each title to visit the original post with instructions and images for each activity. Because, you know, summer! I’ve always wanted to try this one. Creativity is the key to getting kids to like math. This post includes a set of printable fraction circles! This one is so simple to make. Only three steps. 5. STEM challenge: how many drops of water can you put on a coin? Teach your kids about surface tension with this science activity that will get your kids thinking. The traditional competitive game of squares with a math twist! A great way to combine a gross motor activity that kids love with practicing reading skills. Make telling time fun and interactive for kids. Includes free printable! This hands-on science activity is colorful and exciting! Make math fun for your first grader with this addition activity that uses clothespins. This post has 30+ sidewalk chalk activities that help with letters and reading! This is a fun experiment for kids of all ages! A unique math game that your kids will enjoy for sure. This activity you can actually take with you when you’re on the go! Because what kid isn’t a fan of slime? 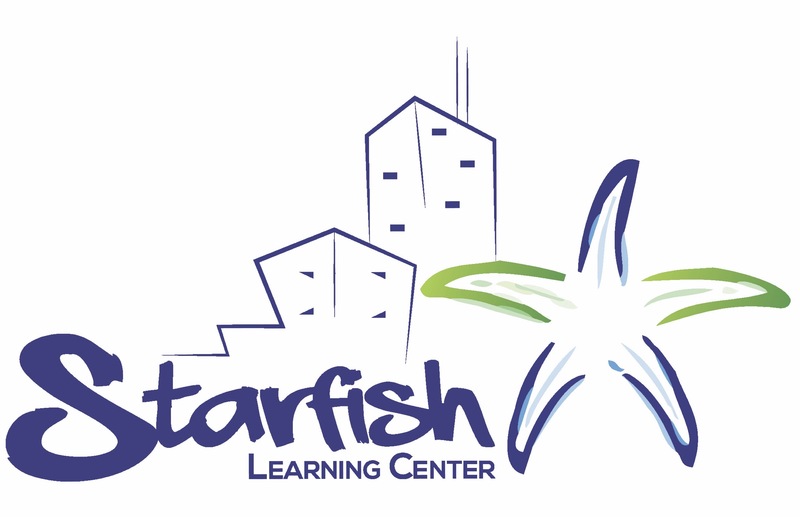 At Starfish, we love finding fun and creative ways to get our kids learning! 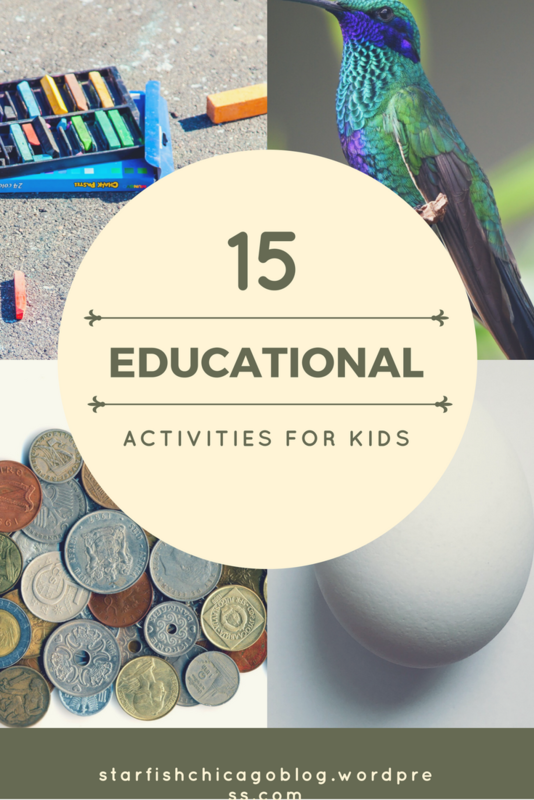 Hopefully these ideas will get your kids off their screens and get their brains active. Have a great summer! There’s some great ideas here! Gotta get busy! My son will love a lot of these. We are going to put them on our list of to dos for summer. This is awesome, so many great ideas! Thanks! 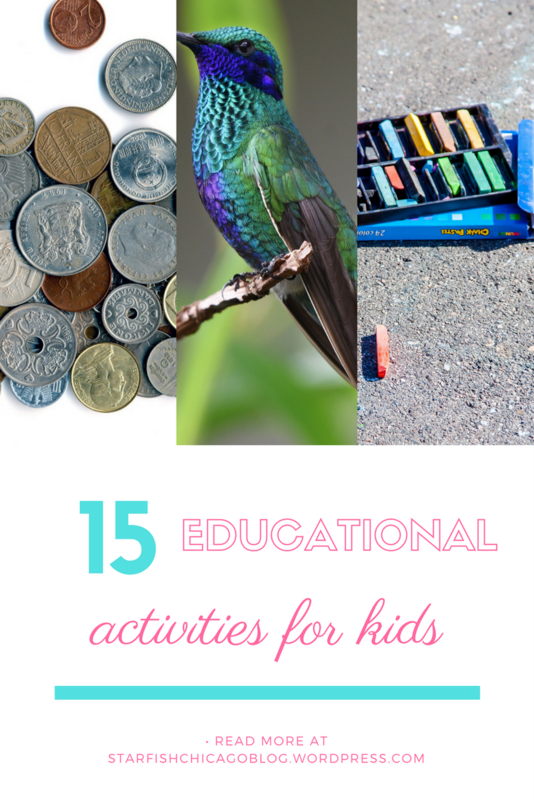 Kids need to be kept busy all year!